Background: Geographic information science and technology, along with geostatistics and analysis of satellite imagery, have emerged as major cross-disciplinary tools used in academic research, industrial applications, and public policy analysis. This is especially true on the Berkeley campus. Students, faculty and staff across campus are using these technologies to understand how plants and animals might respond to climate change, how the built environment might influence public health, and how land use is changing in the tropics. Adding these skills to your undergraduate or graduate program can help you get a job, or can help you delve into new areas of research. We built this website to provide access to the many distributed GIS opportunities on the Berkeley campus. A great place for GIS on campus is the Geospatial Innovation Facility (GIF) at UC Berkeley‘sCollege of Natural Resources. The GIF provides leadership and training across a broad array of integrated mapping technologies. These technologies include Remote Sensing, Geographic Information Systems (GIS), Global Positioning Systems (GPS), and modeling. The GIF offers innovative geospatial approaches to environmental research projects and grant opportunities. You can take short workshops on a range of topics, rent GPS equipment, get GIS consulting, and go to Geolunch events. 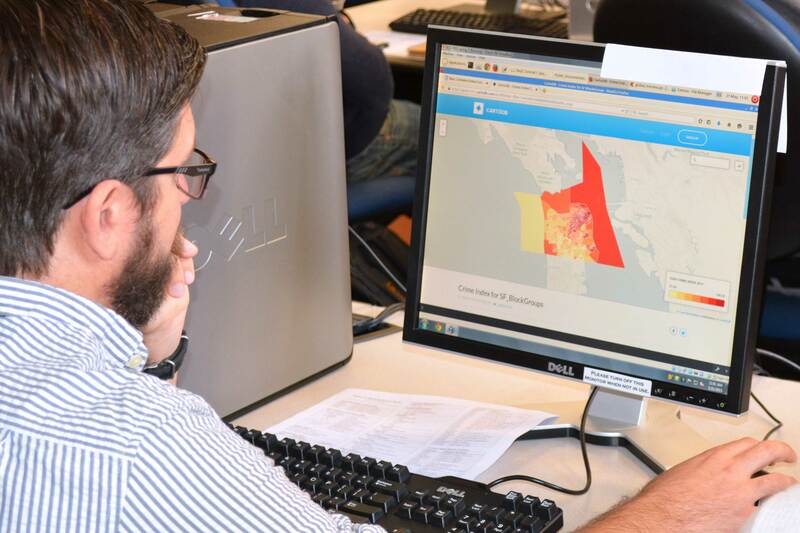 The Graduate Certificate in Geographic Information Science and Technology (GIST) provides an academic structure for an interdisciplinary exchange of ideas around geospatial information and analysis. Geographic information science and technology, along with geostatistics and analysis of satellite imagery, have emerged as major cross-disciplinary tools used in academic research, industrial applications, and public policy analysis. The GIST enables specialized, multidisciplinary training and research opportunities in various emerging areas of geospatial information science and technology. Certificate students will not only participate in a cutting-edge program and receive explicit recognition of specialization in GIST by virtue of the Graduate Certificate but will be well positioned to compete for the most desirable jobs in geospatial technology, both in academia and in industry. Information on the Certificate is found here, and on the College of Environmental Design website.